We appreciate all of the work that our Chapter volunteers do to keep our oceans, waves and beaches clean, safe and accessible for all to enjoy. Our volunteers help with beach cleanups, educating the public, working with youth, building Ocean Friendly Gardens and more. 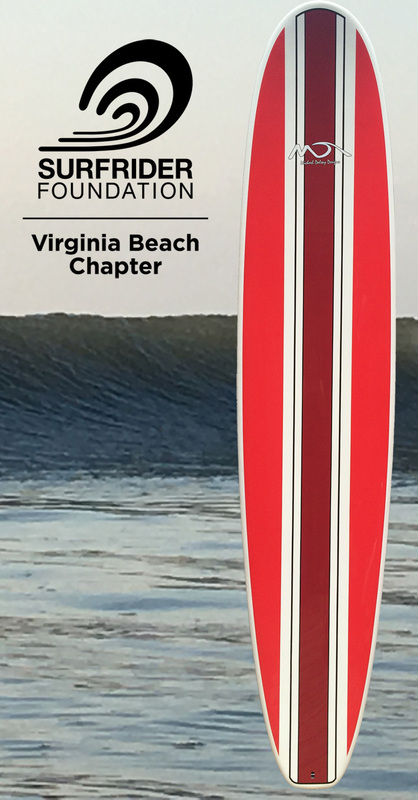 As a token of our appreciation, we are raffling off this 9’0″ Michael Dolsey Designs board to our volunteers only, Each time you help us clean a beach, table an event, attend a chapter meeting or help with any other Surfrider event, your name will be entered into the raffle to win this board. If you are a member, you get double the chances.